Through hiring educated and professional staff for the Planning and Development position, the City of Monticello is able to keep the majority of project engineering in-house, rather than contracting the work through an outside engineering firm. Review and approval of proposed land development projects including subdivision and site plans to ensure compliance with all applicable codes. Construction, observation, inspection, testing and final approval of all improvements to be maintained by the City of Monticello included within all land development projects. Design, material and cost estimating, budget and fiscal oversight, implementation and project management of all Capital improvement projects including water, waste water, storm water management and pavement rehabilitation. 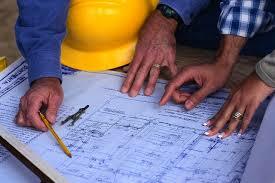 Licensed Professional Engineers assist when permitting is required. Develop bid plans, specifications, project management and serve as resident engineer for all capital improvement projects included within the required bidding process. Assist with planning and community development.